A wedding photo album tells the story of the best day of your life. It is always difficult to realize the right photo book and share the emotions of such an important day. Here are a few tips that will help you create the perfect wedding photo book. Every photographer has his or her style. Whether you like funny, more serious, or classical photos, the photographer's choice is definitely one of the most important things to think for the most important day of your life. A perfect smile, a special look, a funny moment... try to find all of the little things that make you laugh and use them to create an ambiance to show the special moments of your day. There are thousand of good moments that you can use to express the pleasure you had. The best way to create a photo book is to tell a story, use all the different stages of your wedding to create a story. It will help you show what you felt and what you thought during this day. You can divide your book for all the different moments of your wedding, from the preparation to the last dance of the day. Try different programmed layouts to be sure of what you want or you can even create your own layout and fully personalise your photo album. The right layout is important to have a clear and appealing photo book. The sooner after your wedding day you create your photo book the better it is. Try to do your photo book in the next three months after your wedding, you will still have all the important details in mind and it will makes it much easier to create your book. 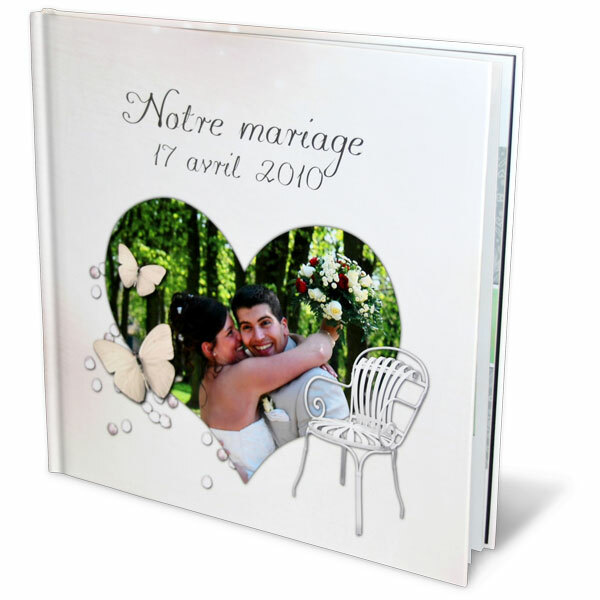 Now that you know a bit more about the photo book printing process, visit our website and start creating your wedding photo book. And if you need help or advices, please feel free to contact us at any time.